Netent games are a constant source of innovation. From humble beginnings in 1996, Netent have grown to be a highly respected global brand and have been the recipient of countless industry awards. And RTP ratios that make the other slots producers green with envy. Check out the Net Entertainment games catalogue for a truly unique and vibrant online gaming experience. True innovators from the start, this Scandinavian company were amongst the first to embrace the mobile gaming market and they’ve never looked back since. 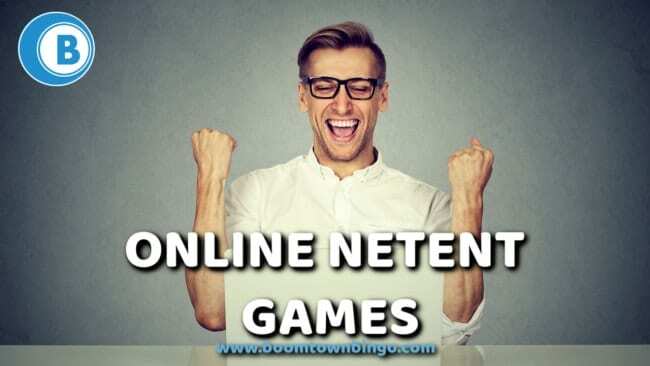 Netent content is now available around the world, twenty-four hours a day, seven days a week in the very finest online casinos. They process over forty billion transactions a year and produce a new Net Ent slot game every single month. Those are impressive statistics by anyone’s standards. The new Netent casinos are generally very popular. It comes as no surprise, then, that these games are frequently featured in ‘Top Ten’ lists. This multi-award winning slots games manufacturer has risen to the top of the pile and fully deserves to stay there for the foreseeable future. Netent’s history is replete with tales of success. Since their inception in the mid-nineties they have taken the online slots games market by storm, picking up a myriad of industry awards and dedicated players in the process. Their Mega Fortune slot held the record for biggest ever jackpot payout at a casino at a phenomenal 17.9 million Euros, and in 2017, Netent games paid out a whopping 78 million Euros! With figures like this in your portfolio, it’s no wonder that their fan base has continued to expand steadily. Winning is all well and good, but what about a bit of fun to go along with it? This is the reason why Netent’s history is such a long and celebrated one. Netent games are notorious for being a fully immersive experience; bold colours, innovative twists on old classics, superb bonuses, and a feeling that someone who has a genuine passion for slots games has crafted every title makes this gaming the mark on which all other features are judged. Understandably, one of the biggest attractions in an online slot game is what sort of bonuses they have to offer. A great bonus can make the difference between finishing the game with a healthy return and finishing the game with a potentially life-changing sum of money. Bonuses such as nudges, wilds and scatters are all common Netent slots bonuses, along with incentives such as free spins and progressive jackpots. There are literally millions of pounds up for grabs in some of their more popular titles like Arabian Nights and Hall of Gods. These bonuses are not only highly desirable, but they inject an extra element of fun and excitement to an already incredible gaming experience. These bonuses are amongst the very best on offer so make sure that you take full advantage of them whenever they are available. The number of Netent sites on the internet has grown exponentially in the past couple of years. A lot of this has to do with the rise of mobile gaming, and Net Entertainment were one of the first companies to embrace this new opportunity. In all, the software now serve over two hundred of the most respected online casinos around the world and that number is increasing all of the time. From Europe to America, Australia to Asia, Netent sites are popular in every corner of the globe. With high production budgets, thousands of talented employees, and an eager community to receive them, Netent games and sites are a yardstick to measure all other online casinos by. One thing you can be assured of; in addition to their unsurpassed security measures, these sites will have the very best content of any online gaming site, regardless of what territory they are in. Play against like-minded gamers from all around the world in one glorious unified gaming experience and you too will be a Netent convert before long. When it comes to playing online games, the Net Entertainment software provides an exceptional user experience and a clean interface. They not only offer a huge selection of fun gaming options with traditional features, but some even have progressive jackpots available. The operating software was initially based on Java at the beginning, but they has adapted their software to advance with the times. The games now use HTML5 and they can be found on literally hundreds of online casino portals. We know that there are lots of internet casino websites out there and choosing which site to pledge allegiance to can be very tricky, especially if you’re not used to gaming on the internet. Evaluating websites can be difficult, because you typically have to sign up to try a site out; that’s where we come in. To make this less daunting for you, we’ve compiled a detailed list of names of the latest and greatest Netent casinos, such as Sky Vegas, that the internet has to offer. We understand that not everyone will enjoy the very same sites, features and contents, which is why we have gone into such detail. This should allow you to make your own choices based on what it is that interests you in an online casino.